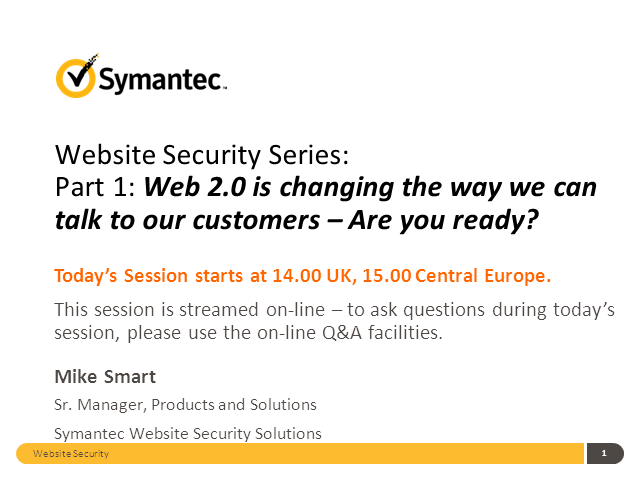 Web 2.0 is changing the way we can talk to our customers – Are you ready? Stay updated on June 2019’s news regarding the trends and threats in digital certificates including TLS, SSL and code signing, plus PKI, IoT, encryption, identity and trust. Stay updated on May 2019’s news regarding the trends and threats in digital certificates including TLS, SSL and code signing, plus PKI, IoT, encryption, identity and trust. Stay updated on April 2019’s news regarding the trends and threats in digital certificates including TLS, SSL and code signing, plus PKI, IoT, encryption, identity and trust. This month's briefing covers EV Extended Validation and OV Organization Validated certificates, Tumblr, HTTPS, eCommerce, code-signed malware-infected software updates, ACME and the IETF, US Senate bills Corporate Executive Accountability Act and Cyber Resiliency Act, the Weather Channel's ransomware attack, GDPR compliance, blockchain, cryptocurrency, Ethereum, weak passwords, weak private keys, AES, PQC post quantum cryptography, QKD quantum key distribution, IE Internet Explorer, zero day vulnerability with MHT files, Apache and nginx web servers, a suspicious uninvited Chinese guest at Mar-a-Lago, hacked Wi-Fi, Starz vs TorrentFreak, APT34 and OilRig, the Read My Lips and Lab Dookhtegan channel on Telegram, CryptoPokemon ransomware decrypter, charities, and free internet security training for citizens in Aurora, Illinois. Title: Web 2.0 is changing the way we can talk to our customers – Are you ready?